Once you install this in your cellphone or similar device, you will generally want to format the card with your device's interface. That is because the standard format for certain phone brands, particularly Motorola, can differ from other devices. Formatting for your brand cell phone ensures memory integrity and maximum speed performance. 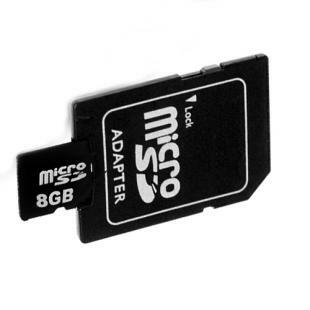 Find, Read Reviews & Buy cheap 8GB MicroSD TF Card + SD Card Reader / Slot Adapter products at wholesale price from leading chinese supplier, enjoy online 8GB MicroSD TF Card + SD Card Reader / Slot Adapter for sale and become wholesaler now!